The Next Big Focus In The Russia Investigations: Social Media Social platforms such as Facebook and Twitter played a larger role than first thought in Russia's influence campaign against the 2016 U.S. presidential race — and Congress wants answers. Facebook and Twitter appear to be key platforms in Russia's interference in the 2016 election; investigators want to know more. And after a series of escalating complaints by the leaders of the Senate Intelligence Committee, Facebook said Thursday it was handing over the content of more than 3,000 ads believed to be linked with Moscow's attack on the election. "We support Congress in deciding how to best use this information to inform the public, and we expect the government to publish its findings when their investigation is complete," said Facebook CEO Mark Zuckerberg. And there'll be much more: The chairman of the Senate Intelligence Committee has said he wants to hold a public hearing next month on Moscow's efforts to manipulate social media as part of its election interference. Before that, representatives from Twitter are scheduled to meet with Intelligence Committee staff members next week to talk about the role their company played. The moves on Capitol Hill follow concerns that the social media giants have been less than forthcoming about how Russia may have used their platforms to try to undermine the American election. Facebook has acknowledged that it sold ads to some 500 fake Russia-linked accounts between 2015 and 2017. The ads addressed socially divisive issues like gun control, immigration and race relations. It also conceded in a statement that it may discover more. 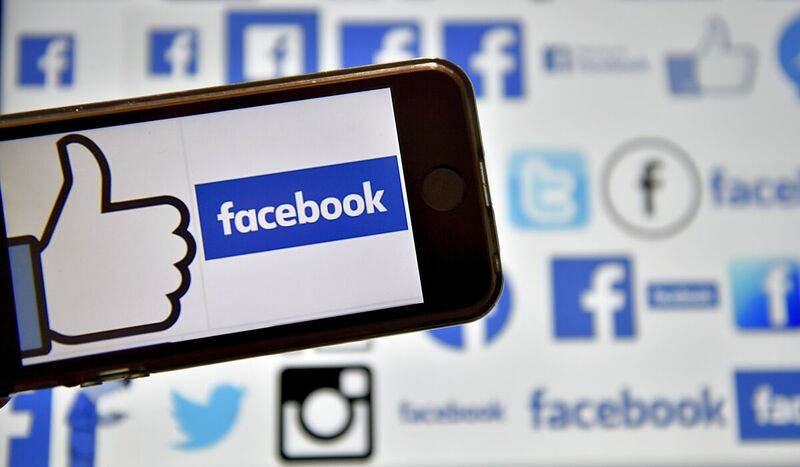 Facebook has briefed congressional investigators about the ads, and it has provided the ad content to Justice Department special counsel Robert Mueller. Lawmakers have complained, however, that the company had refused to hand over copies of the documents to the congressional committees. The top Democrat on the Senate Intelligence Committee, Mark Warner of Virginia, said this week that he expects the company to be more cooperative in the future. Facebook said its decision Thursday represented a step in that direction. Zuckerberg said in a video statement that the company is limited about what it can discuss publicly, but that he directed his team to provide the ads to Congress. Zuckerberg also said that Facebook would continue its own investigation into what transpired on the platform during the campaign. "We are looking into foreign actors, including additional Russian groups and other former Soviet states, as well as organizations like the campaigns, to further our understanding of how they used our tools," he said. "These investigations will take some time, but we will continue our thorough review." He also disclosed a nine-step plan to try to prevent governments from using Facebook to interfere in elections. "I wish I could tell you we're going to be able to stop all interference, but that wouldn't be realistic," he said. "There will always be bad people in the world, and we can't prevent all governments from all interference. But we can make it harder. We can make it a lot harder. And that's what we're going to do." Over the next few months, he said, Facebook will make political advertising more transparent by implementing disclosure requirements. "Not only will you have to disclose which page paid for an ad, but we will also make it so you can visit an advertiser's page and see the ads they're currently running to any audience on Facebook," he said. Other steps include sharing more cyberthreat information with other technology companies, and expanding its cooperation with election commissions around the world. "Twitter deeply respects the integrity of the election process, a cornerstone of all democracies, and will continue to strengthen our platform against bots and other forms of manipulation that violate our Terms of Service," the company said. The U.S. intelligence community's unclassified assessment of Russian interference in the 2016 election says that Moscow's operation included a messaging strategy that blended covert intelligence efforts with overt ones by "state-funded media, third-party intermediaries, and paid social media users or 'trolls.' "
Congress and the special counsel are now turning to U.S. social media companies for more answers.